During the Colonial Era (1492 – 1776), powerful European nations were transfixed on the pursuit of colonies. Admittedly, the primary motive was economic gain, along with a lust for imperial prowess. However, a sub-motive or perhaps secondary interest was scientific curiosity. At that time, science was referred to as “Natural Philosophy” and consisted of modern fields such as botany, geology, and astronomy. While scientists themselves were interested in pushing the bounds of knowledge, the monarchs and joint stock companies wanted to use the scientist’s interest to increase the output of their colonies. Geologists could provide soil and rock information leading to the discovery of precious metals. Astronomers were able to improve navigation. Botanists could improve agricultural production and discover plants that could be useful to the mother country. André Michaux was one of the many botanists that came to America to study the wealth of plant life. He was sent by Louis XVI of France in 1785 to explore and send back useful specimens. Michaux traveled throughout eastern North America, from Florida into Quebec. He discovered several new species and eventually composed two very influential guides, Histoire des chênes de l’Amérique septentrionale (1801) and Flora Boreali-Americana (2 vols., 1803). In 1796, Michaux was forced to return to France, but he left his legacy through the recognition of the unique fauna of the eastern United States. In Michaux’s travels from 1785-1796, he often was a guest in the homes of local residents. One such local was Colonel John Tipton. In fact, Michaux was a guest on two separate occasions. He spent the night with Colonel Tipton on May 14, 1795 and March 20, 1796. He recorded numerous spring wildflowers around the Tipton home and remarked that the nearby mountains were covered in bloodroot, spring beauty, and trout lily. Students will learn about the life, travels, and discoveries of André Michaux. A brief focus of Michaux’s stay and study of Colonel John Tipton’s property will be discussed. 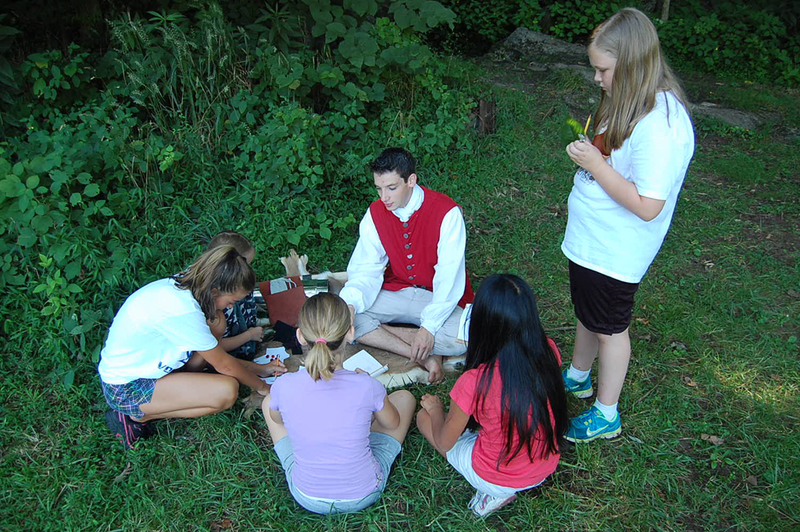 Along with learning about Michaux, students will learn how science (especially botany) was evolving during the European expansion of the Colonial Era. After a background discussion, students will analysis replica artifacts that Michaux and other botanists would have carried with them during the eighteenth century. Study of local plant life will be conducted in one of two ways. First, students will explore the Tipton-Haynes nature trail and discover and discuss the local and invasive plant life of the site. Secondly, students can play the André Michaux Bingo game that will allow students to visually learn about the plants that Michaux discovered.